Final destinations for our contract manufactured products are in the following industries: oil and gas, paper and pulp, marine and offshore and mechanical engineering. Sovellusmestarit is a Finnish importer and contract manufacturer. The fast growing and constantly developing company specializes in the fields of compressed air technology, instrumentation technology, and flow technology. Through planning, procurement of components, manufacturing, and testing, we offer our customers added value throughout the entire supply chain – from planning stage to the finished intermediate or end product. Our main services include Contract Manufacturing, Planning, Training and Sales of wide range of instrumentation products. Decreasing total costs for our customers is very important. We proactively give recommendations for product and process development. This helps our customers improve their competetiveness and brings us growth and continuity = Results through cooperation. Our aim us to be an open and trustworthy partner. We commit to developing our operations based on measurable objectives. Our mission is to improve the competitiveness of our customers through inventive solutions, cost efficient manufacturing, and supply chain optimization. Sovellusmestarit wants to make purchasing of instrumentation components easy, simple, and fast. That is why we have added a webstore to our services. The ambitious aim of Instrustore is to offer the best instrumentation components available on the international market while providing the best purchasing experience possible. 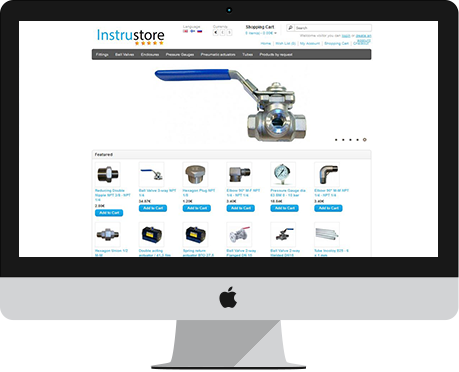 Instrustore’s wide product selection includes for example fittings, ball valves, pressure gauges in various sizes, AISI 316, AISI 317 and INCOLOY tubes, and enclosures. As a special service many other components can be ordered on customer request. For our customers, we manufacture ready packages for instrumentation and automation applications. Newest machines and tools guarantee manufacturing quality and cost-efficiency. To ensure the best possible service and the highest quality of work, we invest in continuously and systematically training our staff on manufacturing processes, work safety, and quality. Planning begins with the needs of our customers. We analyse their needs and engage pre-planning to find best solutions. Working together with our customers, we have been part of various product development and standardization projects. 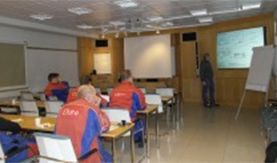 At the start of Sovellusmestarit’s business, there were training services and they are still part of our offering. We always tailor-make trainings according to the specific needs of our customers. Our trainings focus on the planning and implementation of compressed air and instrumentation systems, work safety, and quality. 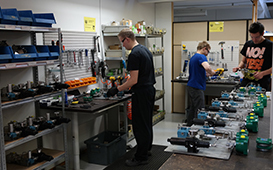 In 2008, Mikko Rantanen founded Sovellusmestarit Oy after having worked almost 20 years in various functions in the fields of pneumatics and instrumentation. After its inception the company engaged in consultations and trainings on energy savings in different industrial areas. Very soon after that, the operations were diversified to include the import of instrumentation components, sales, and contract manufacturing services. The development of energy saving solutions, however, continued especially in the paper- and board industry and lead to the commercialization of an innovative paper roll conveyor. 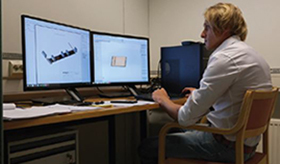 In 2009, Sovellusmestarit received the regional InnoSuomi-award for its conveyor solution. In the following years, the MoveRoll product family has been built around the conveyor solution. In 2011, Mikko Rantanen founded MoveRoll Oy to sell and market these MoveRoll products. More information about MoveRoll Oy and the steadily growing product selection can be found on MoveRoll’s website www.moveroll.com. Among companies that are manufacturing products for the oil-, gas-, process- and maritime industries, Sovellusmestarit Oy has reached and established and strong position as instrumentation solution planner, component supplier, and contract manufacturer. We are continuously expanding our operations to new product and service sectors. A good example for this is our webstore Instrustore.com, which has been open added to our services in 2015. This timeline content is under construction and will be available very soon!